But will it be much cheaper? A wise person once said, as long as the world is turning there will always be a new iPhone release. This year, it looks like we'll be treated to three. Famed Twitter leaked Evan Blass has spilled on the iPhone 6C release. He wrote on Twitter, "Sounds like iPhone 6s, 6s Plus, and 6c will all arrive concurrently." The rumour right now is that the big event will be held on the week of September 7, where we'll see the iPhone 6S and iPhone 6S Plus. Obviously this isn't definite - Blass has been wrong before – but he's usually pretty spot on with his leaking so we don't really have much reason to doubt him. Rumours for the new cheaper phone are thin on the ground so we don't exactly know what to expect. We're hoping for Touch ID, more storage and improved battery life. We weren't the biggest fans of the iPhone 5C though, mostly down to the quite high price tag for a cheap phone. Let's hope that changes this time. 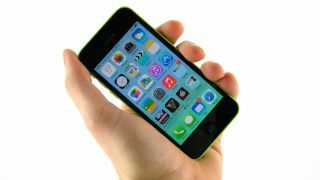 Everything we want to see from the iPhone 6C.